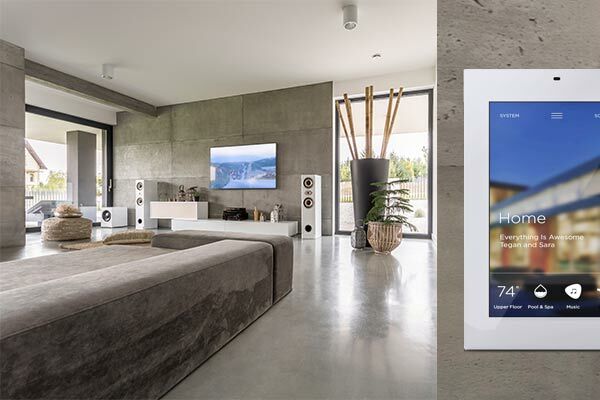 In modern homes, the latest in processing and data-sharing technology can be utilized to integrate home systems. HVAC, Music, Video, Lighting and Communications technology can be connected, networked and controlled using easy-to-navigate color Touchscreens or internet-enabled computers. This kind of “smart” technology allows users to increase efficiency around the home while adding enjoyment to their lifestyles. Creative Systems is the region's leader in automation and smart home technology. Our engineers, programmers, and installers have implemented control systems in homes and estates across the country with great success, and our sales department can custom engineer a solution for any home automation application.